It begins with seeking and ends with discovery; it is a deeply personal story of warm hopes and cold realities. It is a journey of conviction, compelling both the writer and the reader to look at the world differently and start, Thinking Outside the Box? About Love. 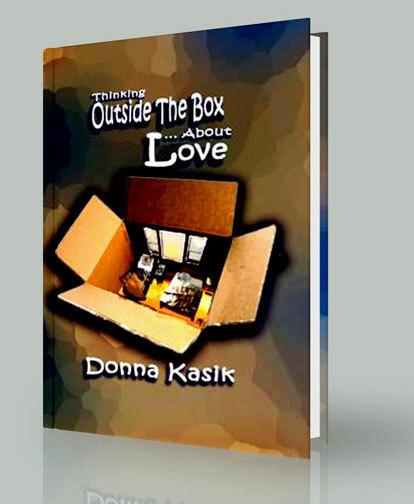 Thinking Outside the Box... About Love is a book of antitheses. It begins with seeking but ends with discovery; it is propelled by warm hopes but grounded in cold realities; it forwards the determined selflessness of a few in the face of the staunch selfishness of many; it seeks to explain the blithe in the midst of the melancholy; it launches a quick javelin of life into the very heart of death. The author propels the reader through a journey of introspection whereby the reader will be forced to behold and consider his/her own convictions in a reflecting-pool of tears. Yet, this book is one of resilient aspiration, undaunted hope, and intrepid trail-blazing that will inspire the brave to continue trekking and encourage the faint-hearted to cease from flinching. Not only does Thinking Outside the Box... About Love compel the reader to consider various controversies, but it offers answers that were sifted in piercing pain, refined in fierce fires, and cast in the mold of reality (not of mere theoretical fancy). The reader is assured a deluge of joy and sorrow, and the salt of both is certain to flavor the fervor of one's own quest for meaning in this tearful life.